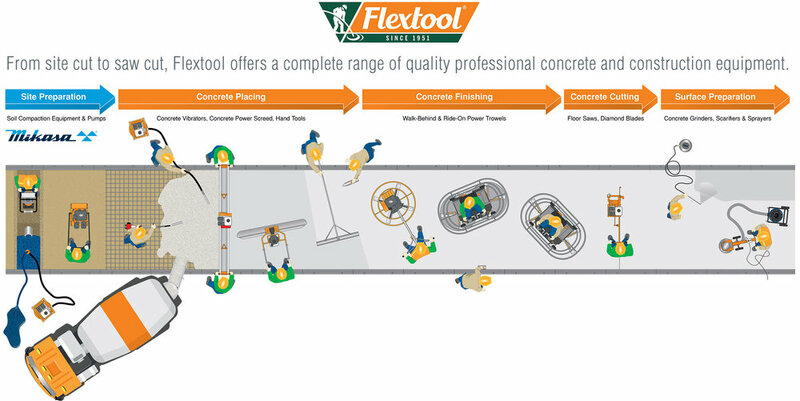 The Flextool Walk-Behind Power Trowel FT34 & FT40 are robust, reliable, and safe concrete power finishing, ideally suited for small to medium slabs. Trowel diameter: available in 865mm (34”) and 1015mm (40”) . Operating weight: 77kg and 81.5kg respectively. Wheel kit is available for the 34”.